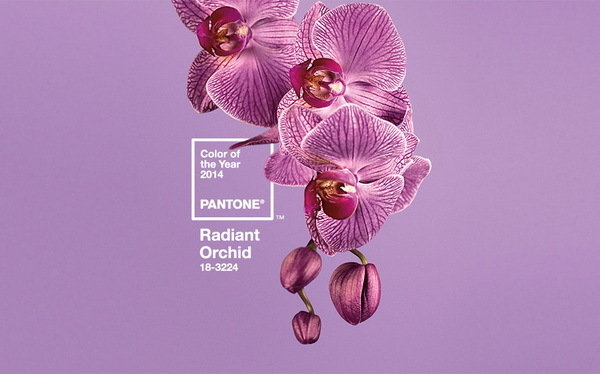 Great news for purple lovers…Pantone just selected Radiant Orchid, “an enchanting harmony of fuchsia, purple and pink undertones”, as the color of the year 2014 from their Fashion Color Report Spring 2014, which we have introduced in previous post if you remember. 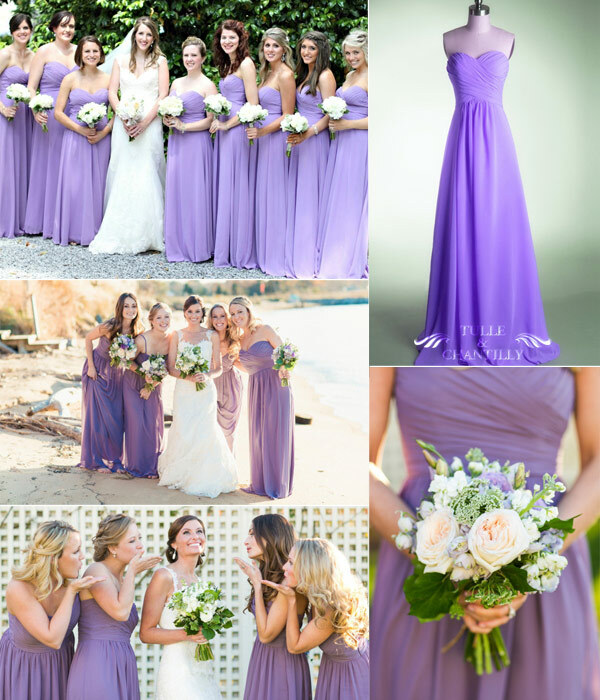 Although Radiant Orchid is just a shade of purple, we cannot deny that purple, the color represents royalty and romance, will reign over the market of bridesmaid dresses 2014. 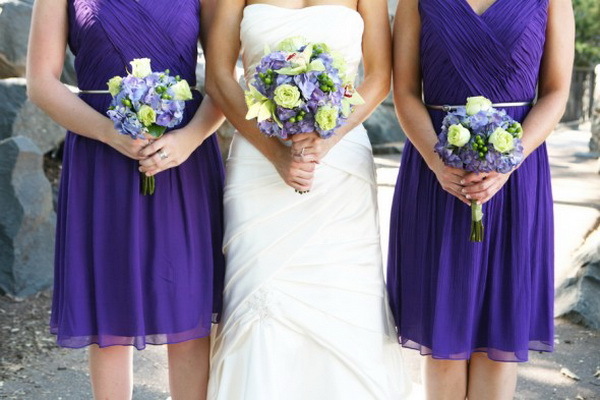 Lilac, lavender, violet, orchid and plum, purple hues always add a touch of feminine grace to the wedding ceremony, especially when your maids walk down the aisle in fabulous purple outfits. 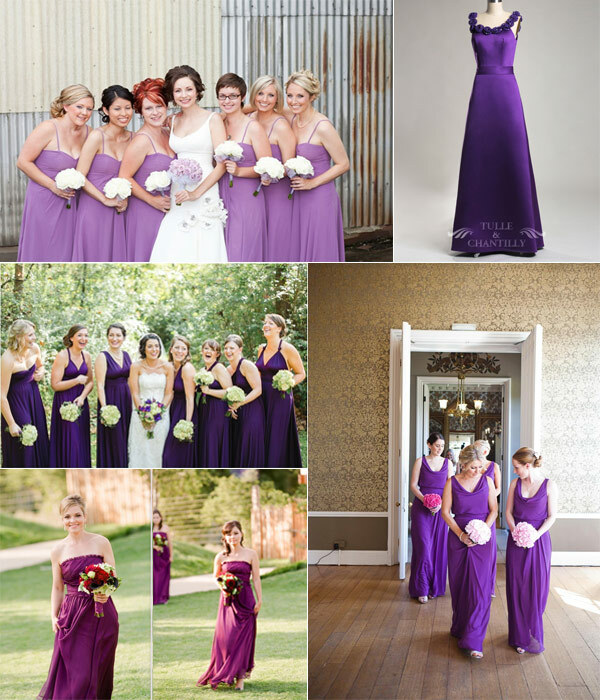 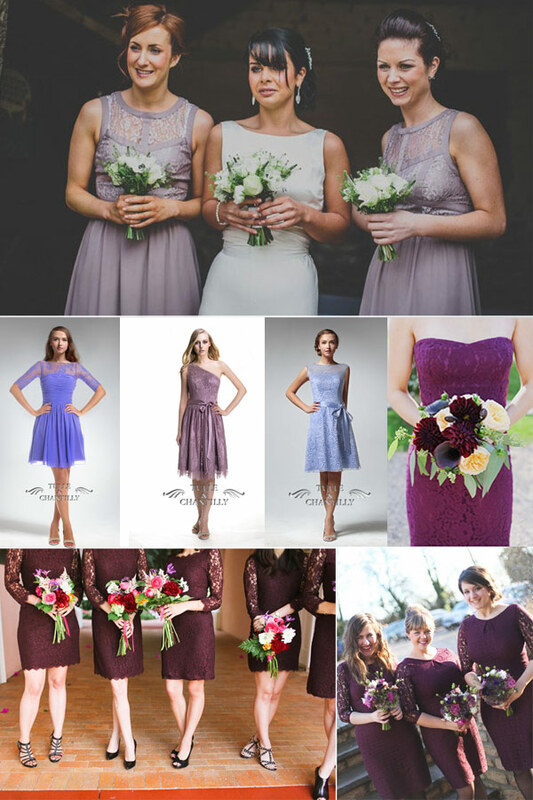 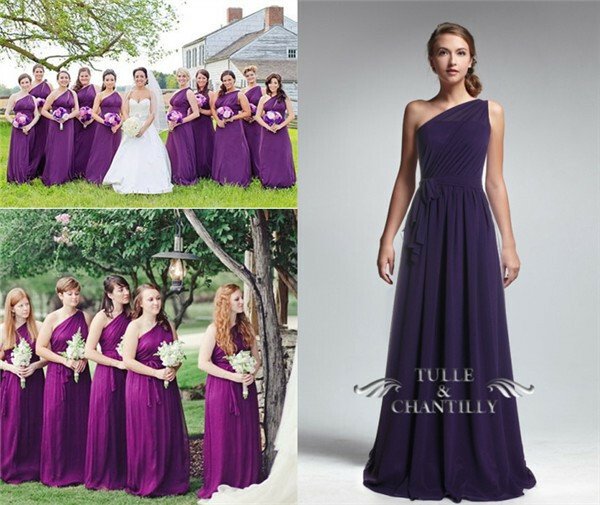 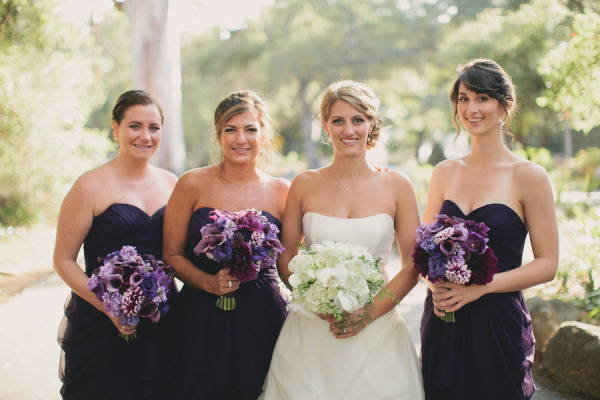 In the prior post of Purple Bridesmaid Dresses for Summer Weddings, we recommended purple dresses for summer brides. 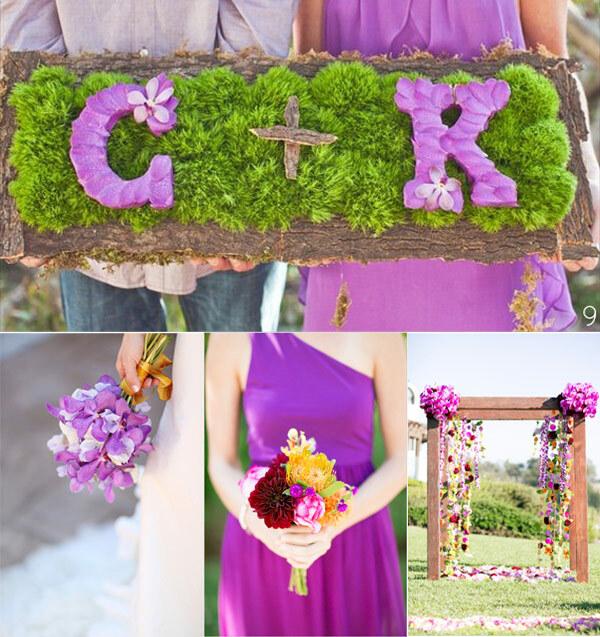 Actually, a rich purple, accented with proper flowers, perfectly fits every season.